Quality scratch and chemical resistant seat with hinges and fittings included. Celmac Wirquin Melody Thermoset Toilet Seat Soft Close Hinge is rated 3.5 out of 5 by 33. Rated 2 out of 5 by shanewr250 from Didnt fit screws to short Probably an ok seat, however I returned it as the screws were too short to reach through the ceramic of my pan. Rated 4 out of 5 by Bodger b from Adjustable closing is a great feature. Great seat, but brackets do keep the back buffers well clear of the pan so just supported on the hinge and front buffers. I may look at lowering the back support. Rated 1 out of 5 by MrObvious from Multi fir DOESNT fit!!! Bought this multi fit toilet seat but it doesn’t fit my toilet! The back is raised 6/7mm. Emailed the manufacturer who said they would only guarantee it if it was a 5mm gap MAX!! Contacted tool station for a refund. STILL WAITING!! Rated 1 out of 5 by MrSmithy from Doesn't Fit! 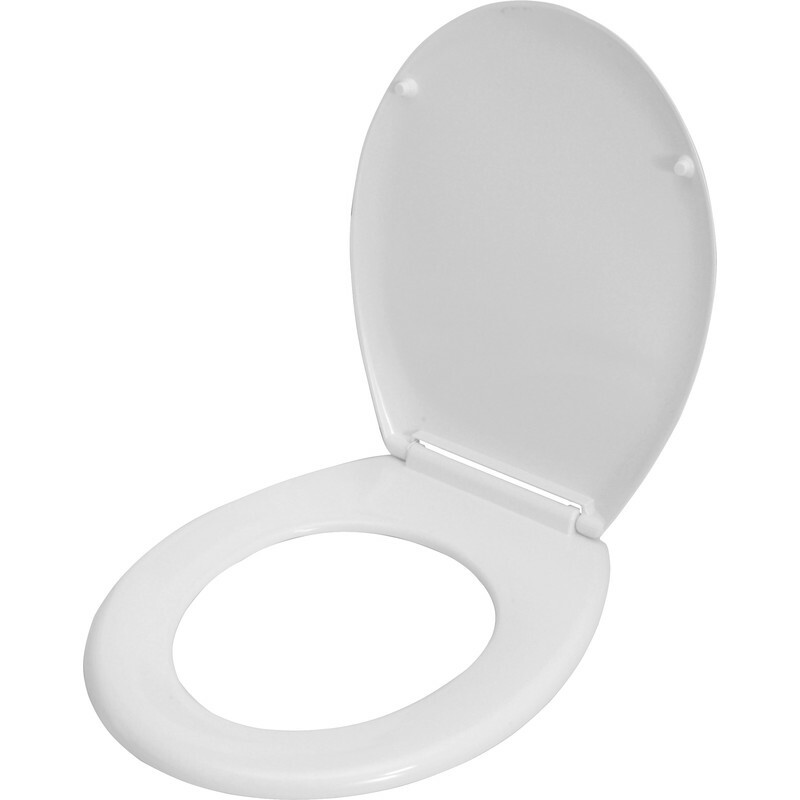 As with a few other reviewers, when fitted (which is a bit fiddly but not horrendous) the seat doesn't sit flat on the toilet rim, with the back part floating in the air. If it was a cheap one then you might just accept it, but not at this price. On contacting customer services I was informed there was a 'bad batch' circulating, so keep a look out for them if you do order it. It's been returned and am currently waiting on a refund. Rated 2 out of 5 by Birdie2 from Seat fine but manufacturer very unhelpful The instructions supplied did not match the seat. I contacted Colmac with photos in an attempt to get the correct instructions. I was polite. In reply they simply told me to return the seat to the retailer. As it must have been the manufacturer who packed the instructions in the box with the seat I believe it was their moral duty to give the right instructions. I don't think I have come across such an arrogant manufacturer before. I have no argument with Tool Station.